Valentine’s day is right around the corner. So, I wanted to give away some of my favorite beauty products to one of you lovely ladies! Instead of thinking about Valentine’s Day as just a day for your significant other, I now think about it a day for self love. 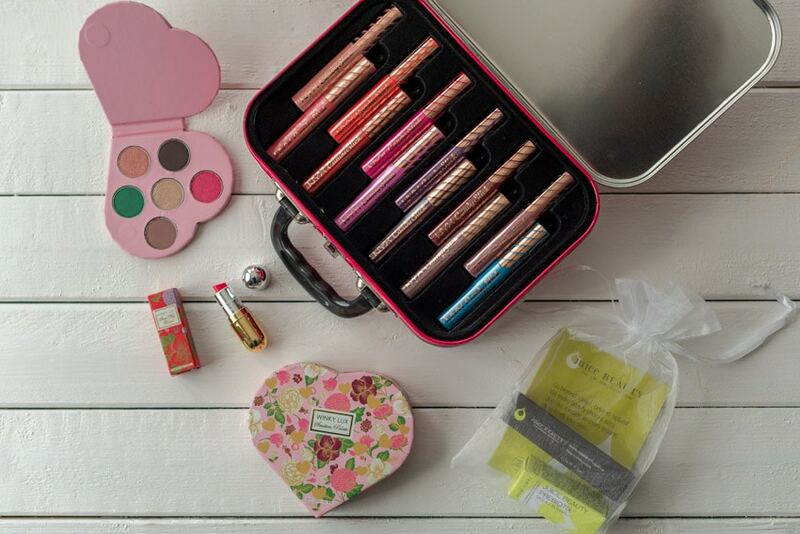 With that in mind, here is my little “Galentine’s Day” giveaway so you can pamper yourself just a little. One lucky winner will receive a NYX lip set, a Winky Lux palette and lipstick, and juice beauty skincare. This contest is open to U.S. residents only. Winner will be selected at random on Monday, February 18th. Good luck! Thank you NYX Cosmetics, Juice Beauty and Winky Lux for providing items included in this giveaway. « These Easy-to-Make Keto Lemon Bars Are So Yummy!